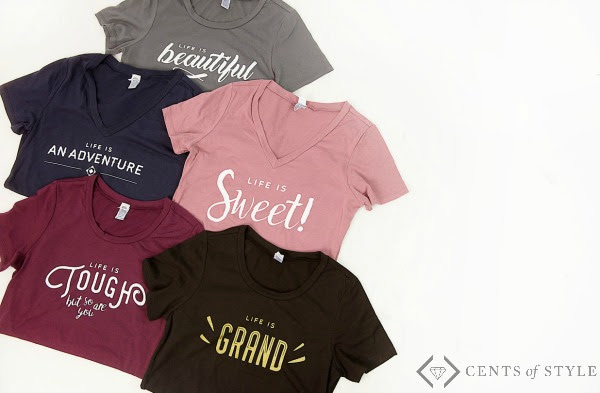 Fall is officially here and these tees are perfectly for it! Life is so, so hard sometimes. Who are we kidding? Most of time, life is so hard. Why does it always seem that way? Because you are living- you are in your life- and when everything around is falling down or nothing around seems to be on its way up, life is hard to you. That's your perspective. So yes, Life is Tough, but, so, my darling friend, are you.